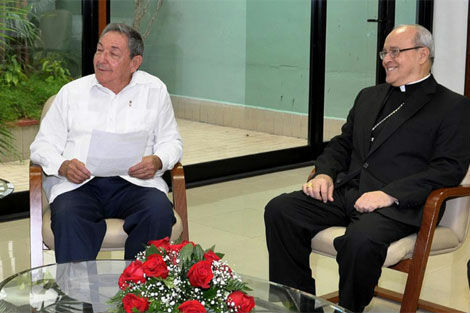 Havana, November 2013 — Cardinal Jaime Ortega turned 77 on October 18 of this year. 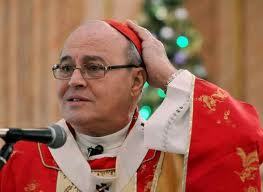 Canon law sets the retirement age for cardinals at 75. Pope Benedict XVI asked Cardinal Ortega to postpone his retirement but Benedict is no longer in charge at the Vatican. Time has passed and the Cardinal is looking exhausted. Finding his replacement can no longer be put off. Numerous questions arise. Who will be his successor? What might his relationship with a dictatorial government be? Will he retain Ortega’s policies? Will he maintain a middle-of-the-road position or will he shift in favor the opposition? Applauded by many and criticized by others, Cardinal Ortega is a saint to some while others criticize him for a lack of energy, for caving in to government pressure and for remaining silent in the face of acts of repudiation against peaceful dissidents, most notably the Ladies in White. Cardinal Ortega was a spokesman for those pardoned and served as the inmates’ “mediator”, or more precisely a “facilitator,” arranging the release and expatriation of nearly two hundred political prisoners. During that time the church and the government developed close ties after half a century of conflict and political strife. 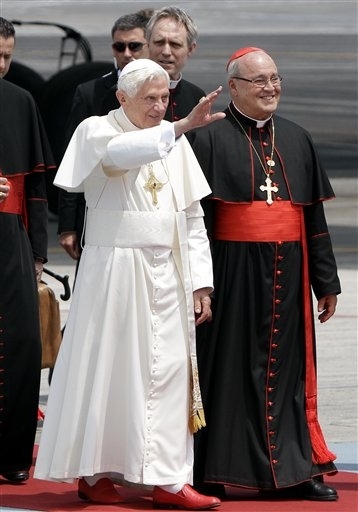 This seems to have been the main reason that Benedict XVI did not accept the cardinal’s retirement as proscribed by canon law. Ramona Muñiz Hernández — the 84 year old director of a Catholic congregation, the Daughters of Mary, and resident of Tarará in Eastern Havana — told us, “You have to acknowledge the cardinal’s patience. The ’beasts’ have been tamed. There was no other way to confront the government. “This is a government that, when I worked as a hair dresser in a state-run hair salon, docked 70 pesos from my 280 peso paycheck for being Catholic, for going to mass and for not hiding my beliefs. I could not live without God. Ortega was archbishop of Havana when he was named a cardinal in 1981. 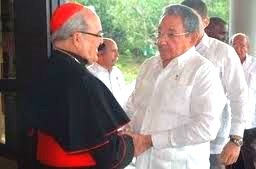 He paved over differences between the church and the communist government to gain authorization for visits to Cuba by John Paul II and Benedict XVI. Ortega was the architect of the lavish celebration of the 500th anniversary of the appearance in the northeastern Bay of Nipe of Our Lady of Charity of El Cobre, the patroness of Cuba. The pilgrimage of the virgin’s statue across the island — beginning in Cobre, where she is venerated, and ending in Santiago de Cuba — served to significantly revive the Christian faith of the Cuban people after half a century of state-imposed Marxist doctrine. December 25, Christmas day — long eliminated from the official calendar — was reinstated as a holiday after Pope John Paul II petitioned Fidel Castro to do so during his pastoral visit to Cuba, asking that “Cuba open itself to the world.” Will they retain the day of rest? The archdiocese regained possession of the splendid church in Tarará, which had been confiscated and turned into a warehouse and later into a mundane nightclub. It was a move that had the hallmarks of efforts by the cardinal, who will soon leave behind a controversial legacy bathed in light and shadow. Ultimately, Pope Francis and time will have the last word on Cardinal Ortega and who his successor will be.